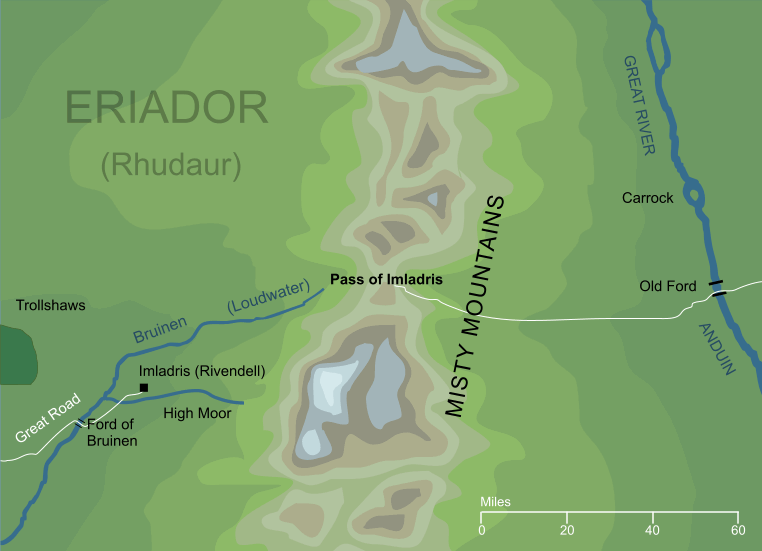 The pass through the Misty Mountains that lay to the east of Rivendell, or Imladris, from which it took its name. It was more commonly called simply the High Pass, or in Elvish Cirith Forn en Andrath, meaning 'northern pass of the long climb'. At one time the pass had been important and well-used: many of the armies that went to the War of the Last Alliance crossed the Mountains by this route. By the end of the Third Age, however, it had become dangerous, especially since the Orcs of Goblin-town had established a secret entry to their tunnels within the pass, from which they would waylay travellers crossing the Mountains.